A perfect pacifier plays an important role in the correct development of a baby's mouth. 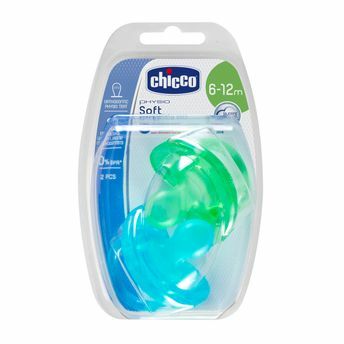 Chicco Physio Soft Color Silicone Soother is carefully designed to fit the child's mouth and ensure correct, evenly distributed pressure of the tongue against the palate. Silicone is a transparent and hygienic material, it is tasteless and odourless and does not deform over time. The teat, designed for promoting the functional development of tongue and facial muscles and the anatomical development of the palate and mouth. Promotes the natural positioning of the tongue: small ridges on the head of the teat reproduce the natural lines on the palate. The notch and the tilted profile allow for the natural positioning of the tongue inside the mouth and facilitate its natural movement. 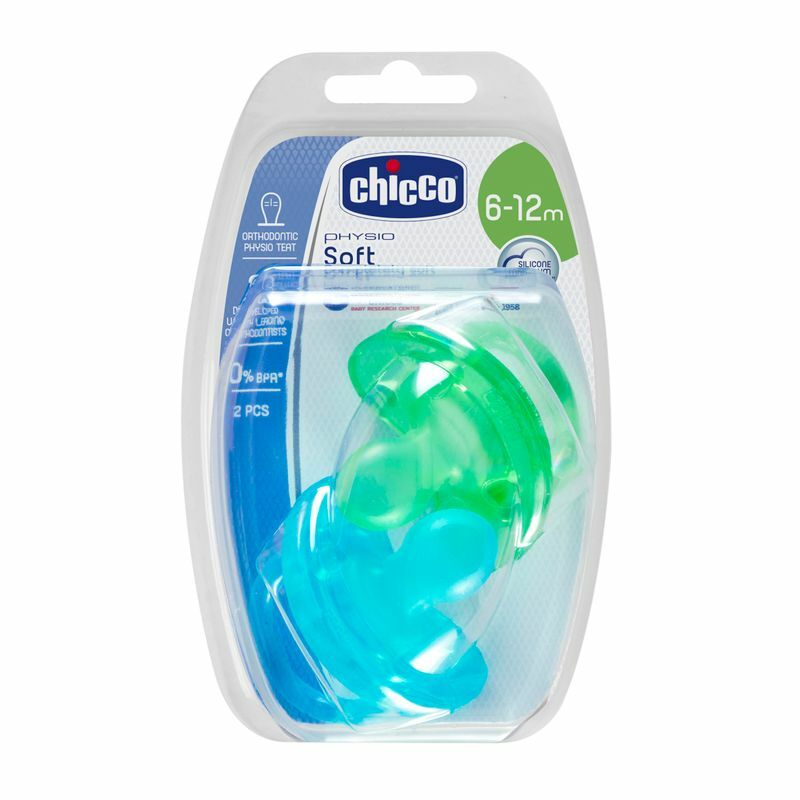 About the Brand: Chicco brings to you a complete range of oral care products that are effective and safe to gently cleanse baby's gums and teeth from day one. Paediatricians recommend cleaning baby's teeths after each feed to remove bacteria and ensure maximum hygiene. The combo pack is very useful for the baby to start his oral hygiene and making it an enjoyable one.